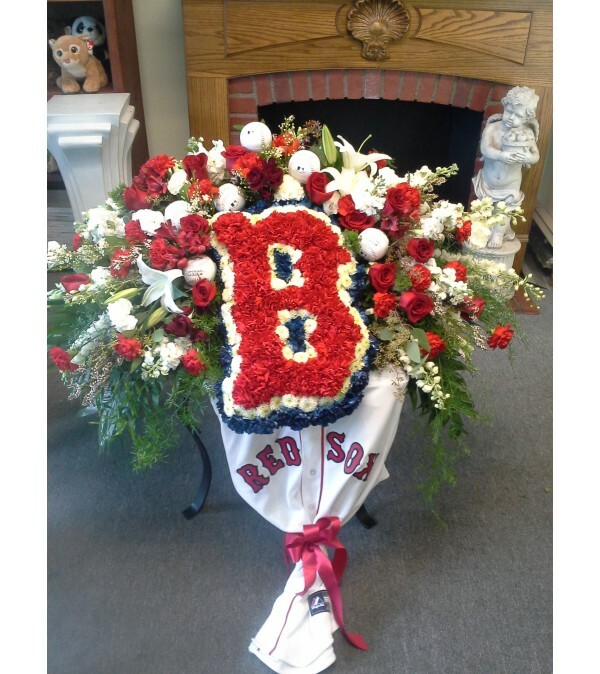 This spray is placed on the casket, for the Red Sox fan. 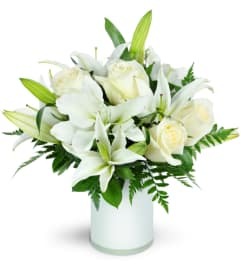 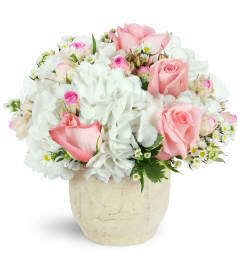 An array of red roses, red carnations, white lillies, snapdragons, stock, etc. 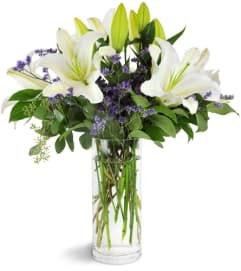 The floral spray is accented with baseballs. The Traditional Red Sox B is made out of fresh flowers.